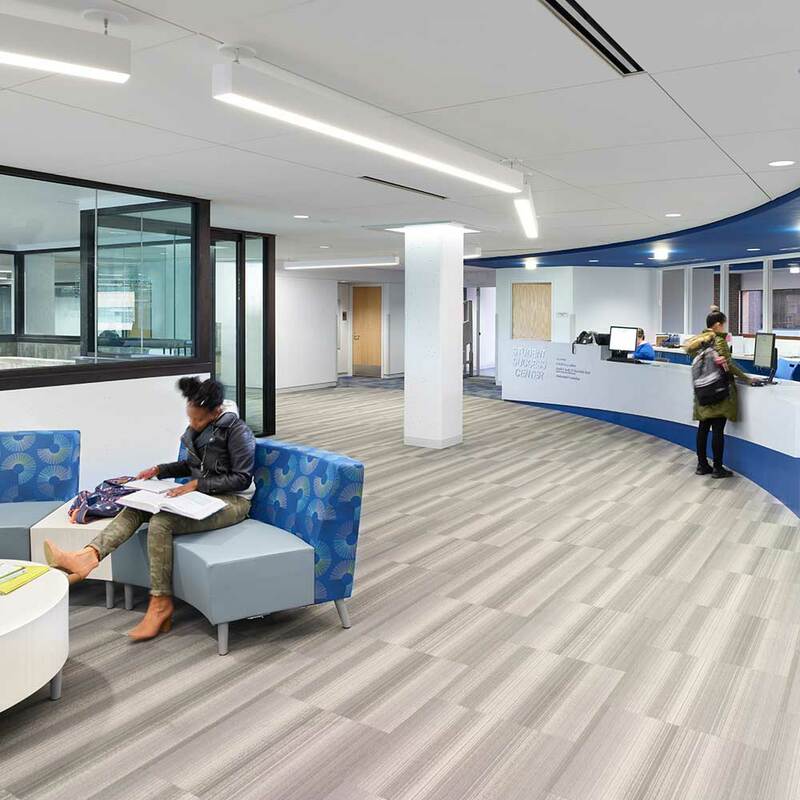 Students are drawn to the Student Success Center’s second floor. 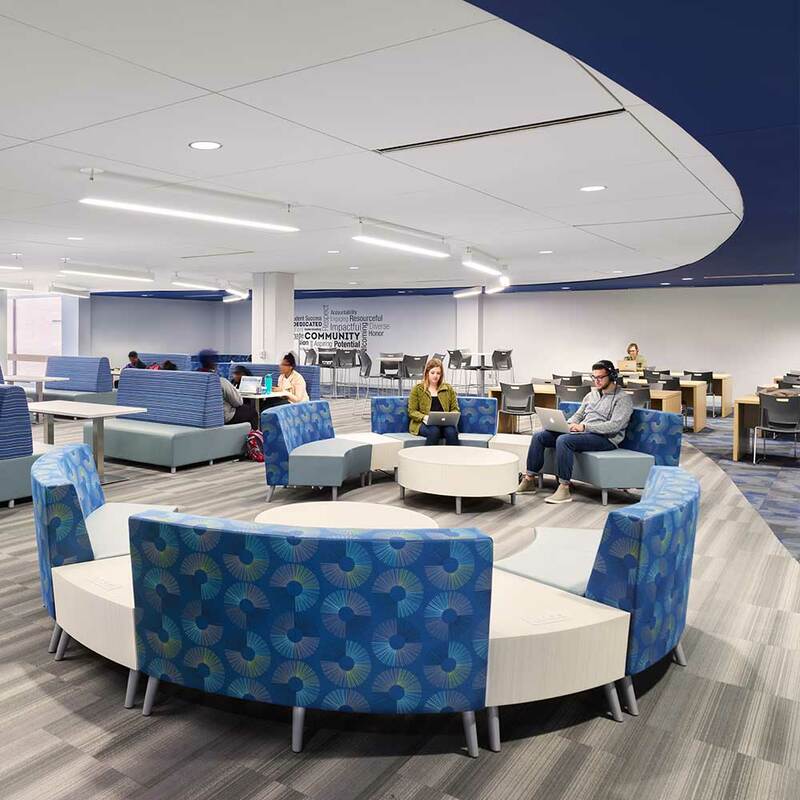 It’s a bustling highly flexible environment used daily for individual or small group study. 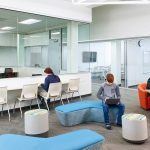 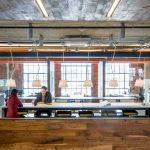 What was once a dark, broken-up, uninviting space is now a bright, open place where students want to be. 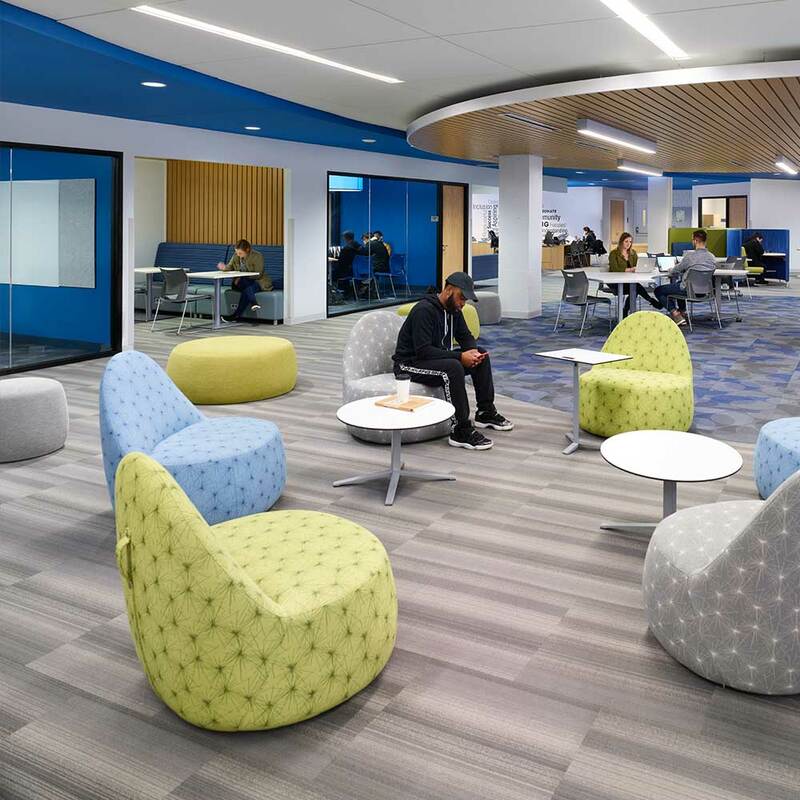 Flexible furniture makes students feel comfortable and welcome and encourages various study styles. 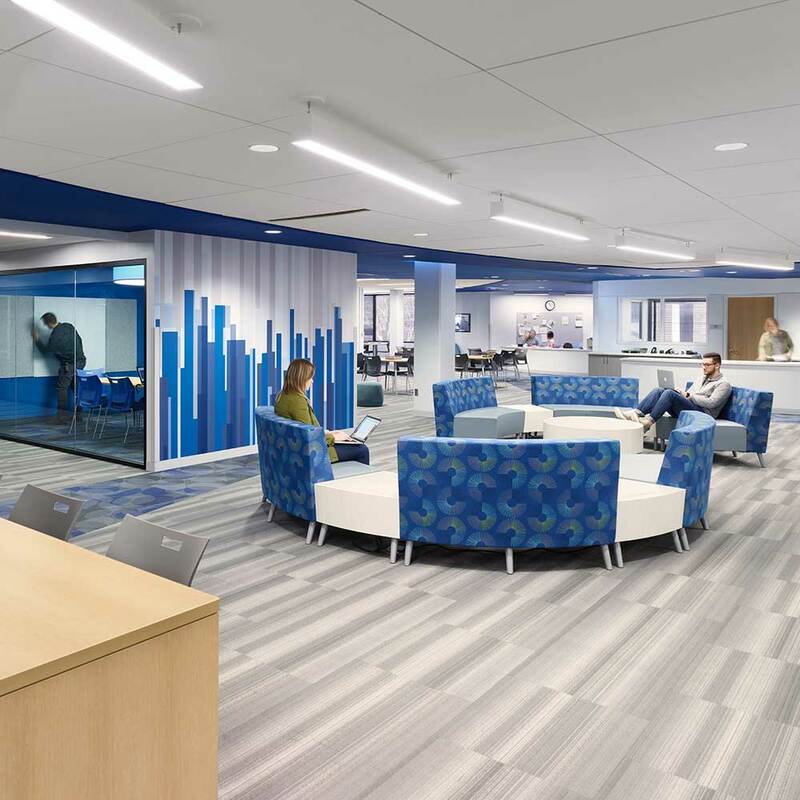 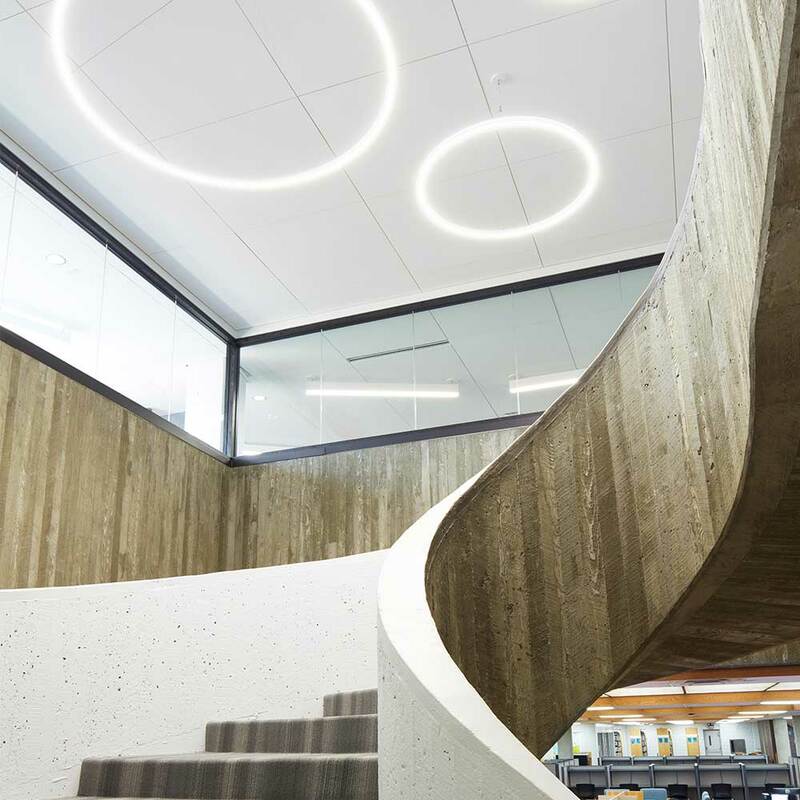 The new Success Center connects to the library, humanities building and campus center in a highly visible way, allowing students more collaborative learning.